Philips has told TechRadar that it believes its Fidelio range can compete with top end headphones despite the mainstream nature of the Dutch brand. Philips is a major name in electronic goods, but the breadth of range and price can often be a problem when a company is launching high-end products. However, talking to TechRadar, a Philips spokesman insisted that the Fidelio sub-brand should be able to differentiate itself from the lower-end of the audio market. "We are a mainstream brand and there is no getting away from that," said the spokesman. "We are going to cater for your lower-end docks and mid-price audio but for us, Fidelio products are a premium proposition. "It's Philips on there but the brand we will be driving is Fidelio – everything has to be around the sound and we're pretty confident that when you put it next to its peers it stacks up." 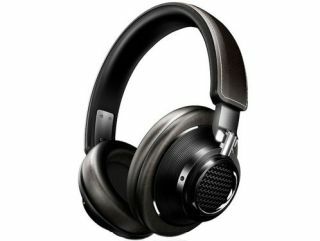 Philips is aware that it is a trusted electronics name, so don't expect to see its logo disappear from the packaging, but the company is clearly keen to build the Fidelio audio products into its own brand as well.